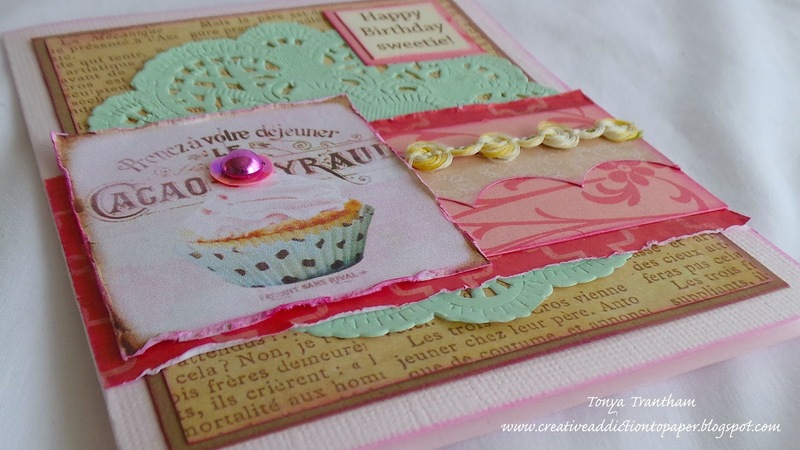 Deborah here sharing a Birthday card I made for this months theme – Female Birthday. 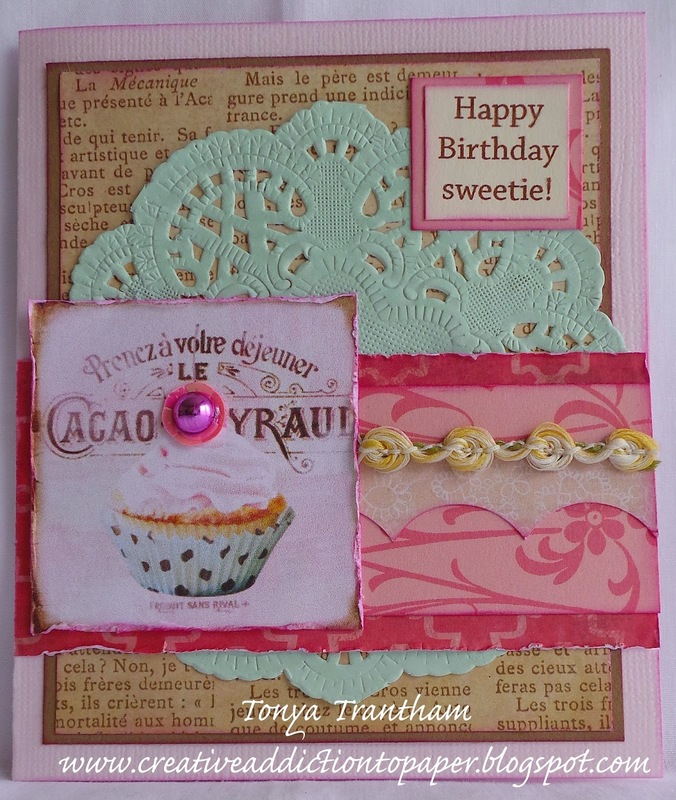 Do you have any special “female” family members or friends you need a Birthday card for within the next few months?? 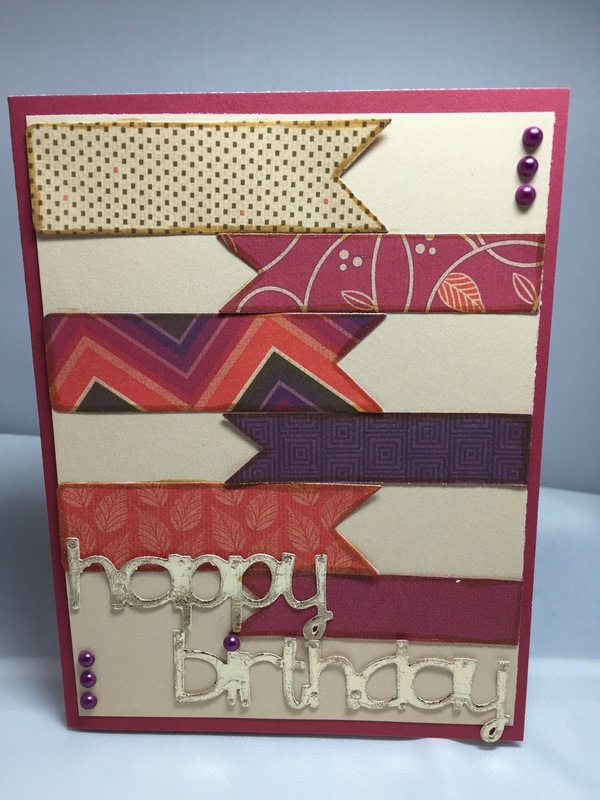 Well the card I am sharing today is a card you can make using any thing you have on hand. 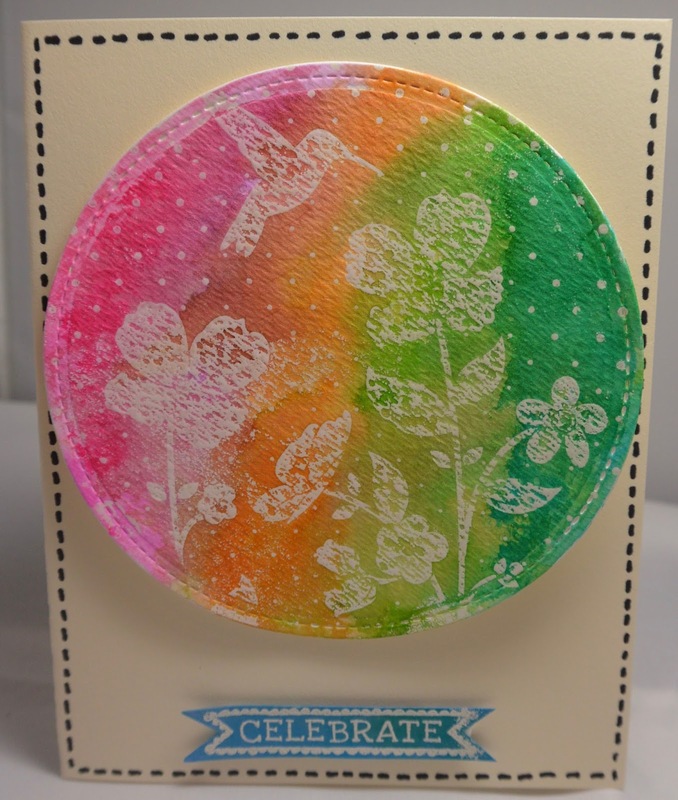 As long as you have few sheets of patterned paper, punch, brads or color sprays. 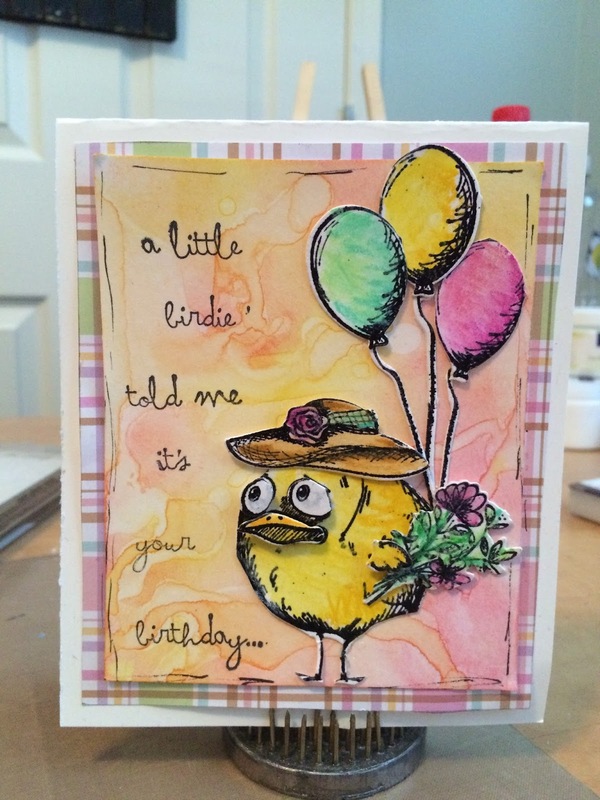 For the card I made below I did use a sketch from DCWV blog. 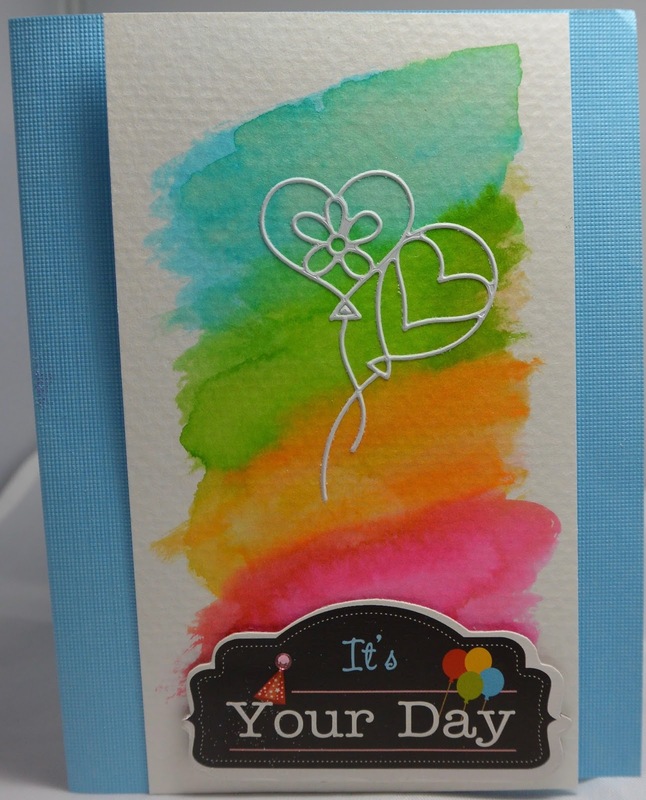 I sprayed the outside of my card first with my Color Bloom Sprays, set aside to dry. 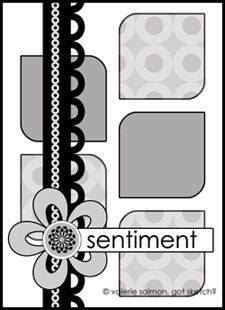 squares for the odd shape, and layered. 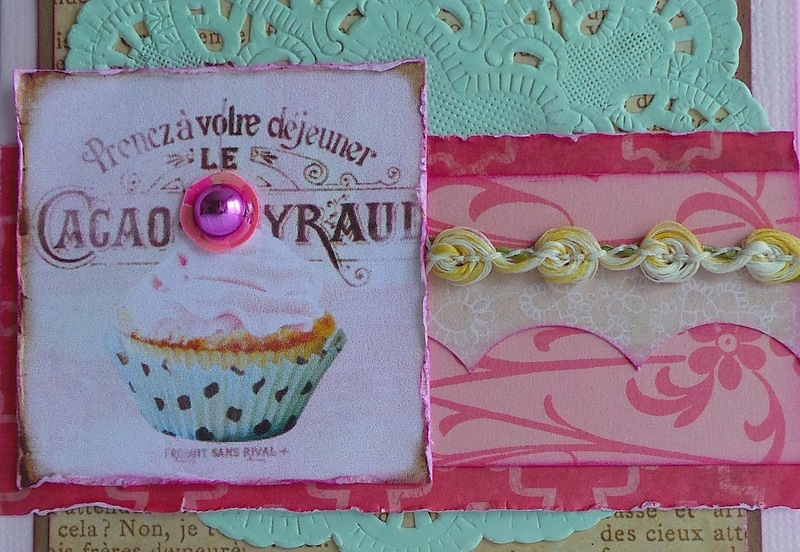 I used the Martha Stewart Daisy Edge punch, wrapped pink twine around 4 times. 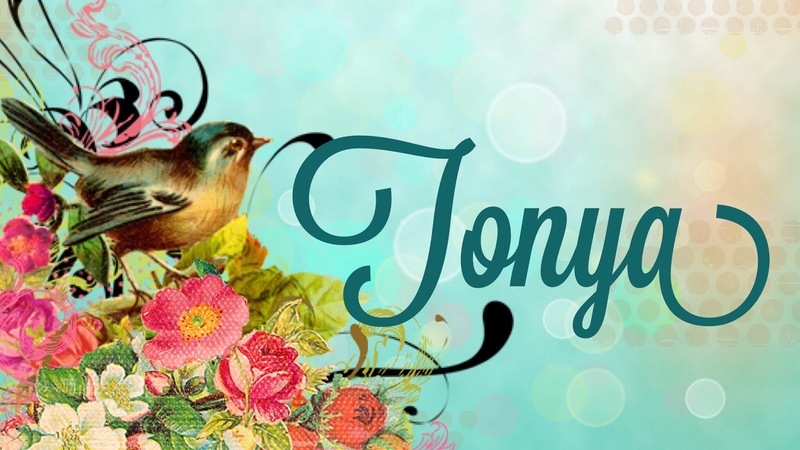 Thanks for stopping in to visit us this month. 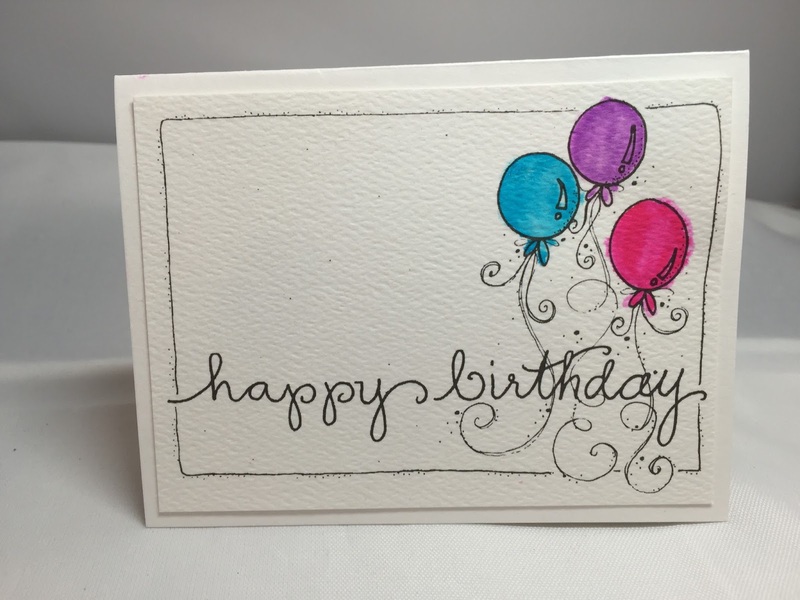 I encourage you to take a look around to collect some inspiring ideas from my teamies for Birthday card ideas and other ideas.